Anyone who made the mistake of following me on Twitter or giving me their phone number will know I love emojis. I use them all the time. I even own emoji stickers and I'm tempted to get an emoji cushion. So when Ebony at Daring Damsels tagged me in the emoji book tag, how could I say no? 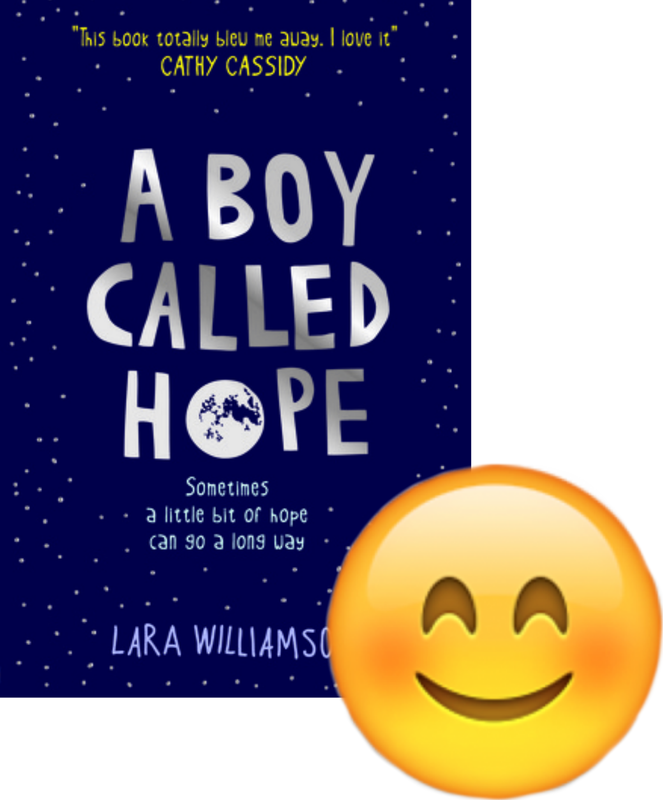 The aim of the game is to use some of your most used or favourite emojis and match them up with a book. Simple! This book was absolute poop. Sorry. None of it made sense, I hated the characters, it was messy... I really didn't like any of it, and now, nearly a whole year after reading it, I still have no idea what that ending was all about. If you like reading rants you can read my review of Stella here because I'm pretty sure it qualifies. Also, how on earth does this book have a sequel? YES. If you need a sign of how much I loved this book, I just went on Goodreads to grab the cover image for this blog post and when I scanned over the synopsis I clapped excitedly. I clapped. And that was just because of the synopsis, never mind the rest of the book. This book is middle-grade and so sweet. It was the first book I read and reviewed this year and I'm so glad it made my bloggy year start nicely. It really exceeded my expectations and you can see my review here! This was possibly the hugest disappointment of the year for me and you can see my rant review here. Whenever anyone mentions this book, my face perfectly resembles that emoji. Seriously. Did I read a different book from everyone else? This book has featured on my blog quite a few times now, and with good reason, too. It might not look like it but IT'S SUCH A FUN BOOK. 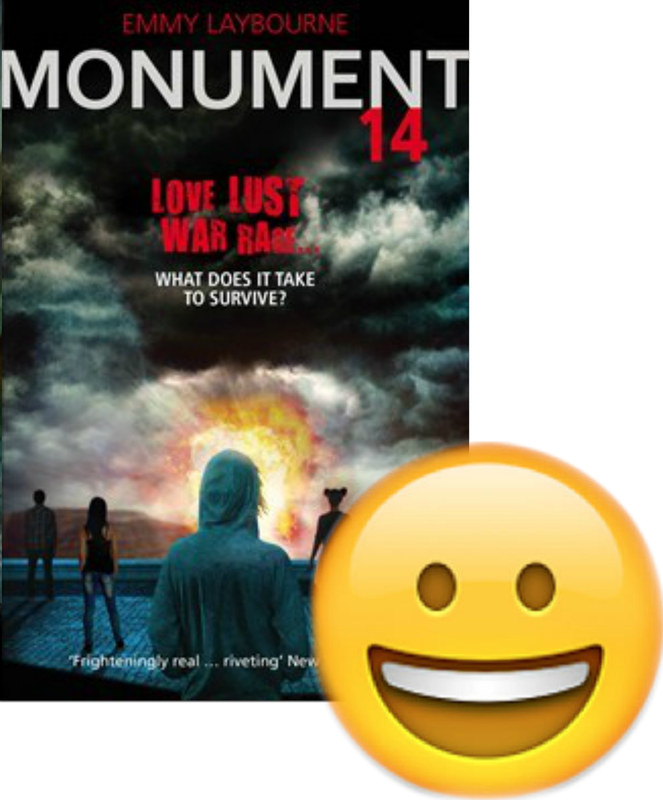 I highly recommend it and as soon as I saw this emoji I knew the perfect match was Monument 14. I'm tagging Jack at The Book Stop because he uses emojis so often he practically is one, and Charli and Tori at To Another World because I wanted to add to their infinite tag pile. Sorry not sorry. ;) Thanks again Ebony for tagging me! I love this! I read Clockwork Angel a few years back but I haven't gotten to Prince yet. Sigh, I'm really bad at sequels. SUCH A FUN POST, Amber. :) Thanks for doing this tag. 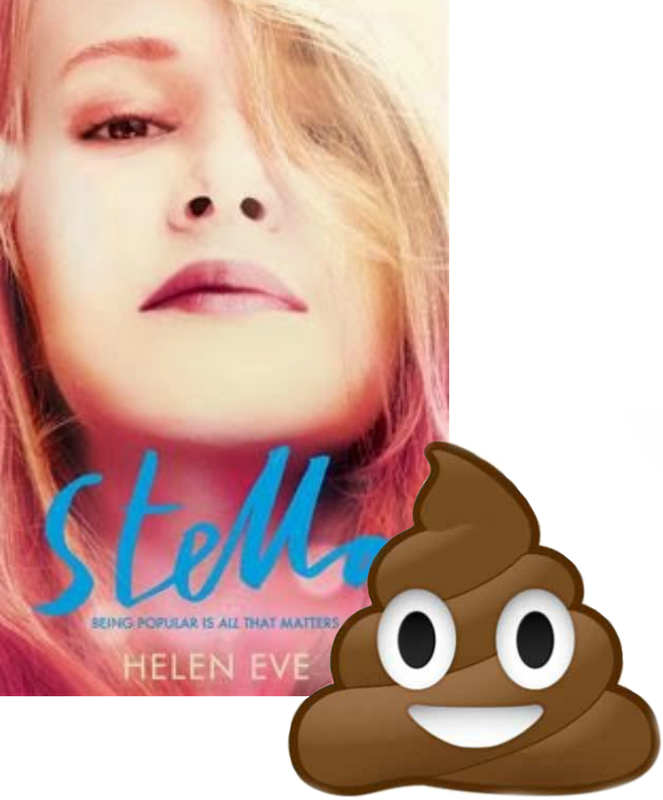 I've never heard of Stella before, but after seeing it paired with the poop emoji - I'm definitely not going to read it, ever! YES. 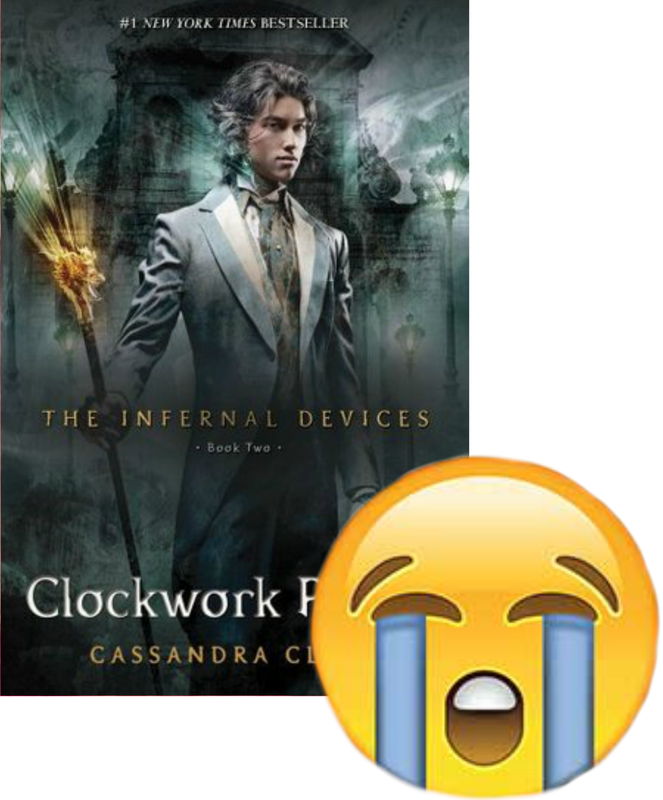 The emoji for Clockwork Prince is just perfect. 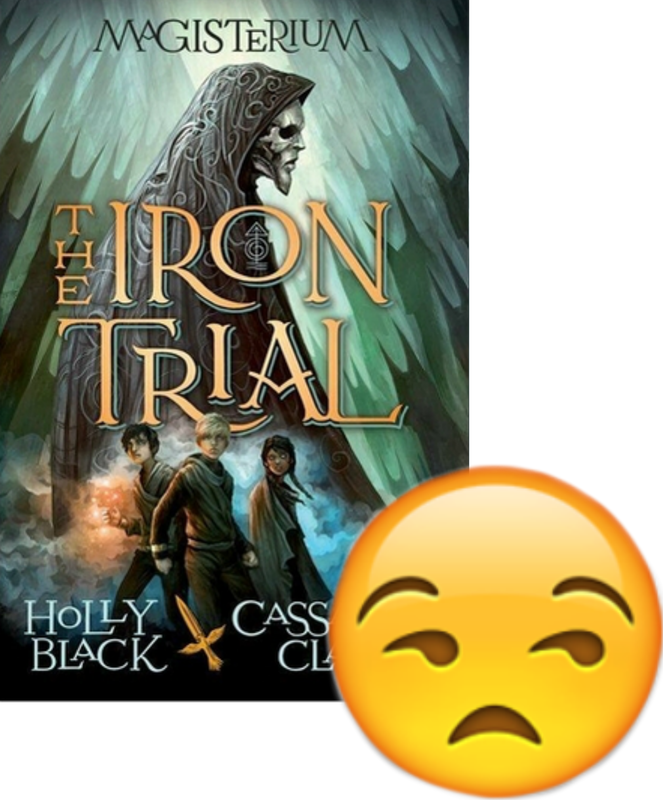 I've read many reviews of The Iron Trial that left me making the same face, so I'm glad I never ended up requesting a review copy - it's not one that I'm going to bother with anymore. After being disappointed by the only Holly Black novel I've read so far, and having a love/hate relationship with Cassie Clare, I don't see why I should waste my time on it. I haven't read anything by Holly Black herself, do you think I should bother, seeing as I didn't like The Iron Trial?